We are delighted to announce the launch of the ‘The Sharp Building Commission’ Open Call for visual artists. 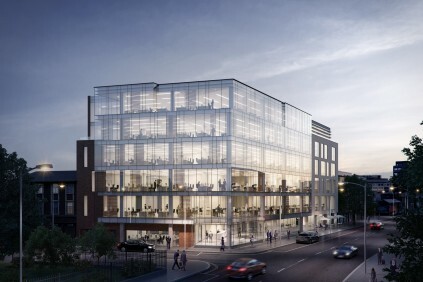 A McGarrell Reilly Group initiative, ‘The Sharp Building Commission’ seeks to include a permanent or temporary sculptural artwork within the glazed, double height corner of the building as part of the reception area to this new office building. This commission will create an original and innovative sculptural installation in response to environment, architecture and historic and cultural references associated with the new building and its location off Hogan Place. Realised during 2017 and revealed in early 2018 this sculptural commission will inspire commuters and office staff alike in the Docklands / Core Dublin 2 area. The commission is open to arts practitioners in the areas of visual arts. The Sharp Building is named after George Sharp, RHA, an Irish portrait and figure painter who resided at Hogan Place during the early 19th Century. Business to Arts will project manage the open call with an advisory curatorial panel. The deadline for applications is Tuesday 11 April 2017, 5pm. The commissioned artist will be announced in May 2017. We are delighted to announce that Katie Molony has been appointed to the board of Business to Arts. 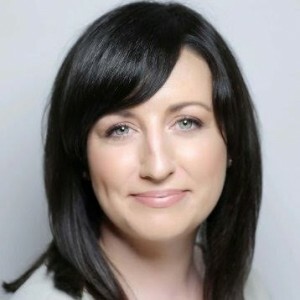 Katie is CEO of Maximum Media, Ireland’s fastest growing online publishing company and the parent company of JOE.ie, Her.ie, SportsJOE.ie & HerFamily.ie. She is responsible for leading the company’s Dublin-based HQ, overseeing all aspects of business strategy across editorial and commercial business operations. Recently promoted to CEO, Katie previously held the position of Managing Director of Maximum Media for two and a half years. She has played a crucial role in growing the company from 27 staff to 65, introducing the MADE by Maximum Media internal branded content hub with its own studio, launching the JOE brand into the UK market, spearheading research project “A slice of Ireland” earlier this year, and significantly increasing sales revenue and overseeing unprecedented growth of the websites. Prior to Maximum Media, Katie was Marketing Manager at The Irish Times, where she spearheaded the marketing strategy for the publisher. Highlights included the highly successful “the Story of Why” brand campaign and the “The Best Place to Live in Ireland” initiative. Katie holds an MSc. in Marketing from DIT, a Diploma in Online Marketing with Advertising and Public Relations from Fitzwilliam Institute, a B.A. in Business with Arts Management from IADT, Dun Laoghaire and most recently completed The Trinity International Growth Programme.